Airline Seating Charts - Want a window seat on the airplane? Or do you prefer the aisle? This site has seat maps for many airlines in the US, South America and Europe. If you buy your airline tickets online, or if your travel agent doesn't know, this valuable resource will show you where the seats are located. 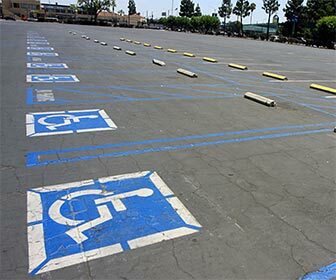 DMV Disabled Parking Placards for Visitors - Travel parking placard for disabled people who are nonresidents and plan to travel in California. Valid for up to 90 days or the date noted by your licensed medical professional on the application, whichever is less. Look for a link that says, "Application for Disabled Person Placard or Plates (REG 195)." On the application, choose "Travel Parking Placard." There is no charge for the permit. 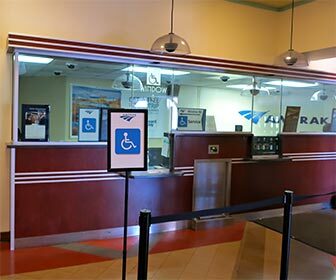 Federal Aviation Administration (FAA) Passenger Information Page - Airport status and delay Information; air travel tips and information; flying with portable electronic devices; travelling with pets; and more. 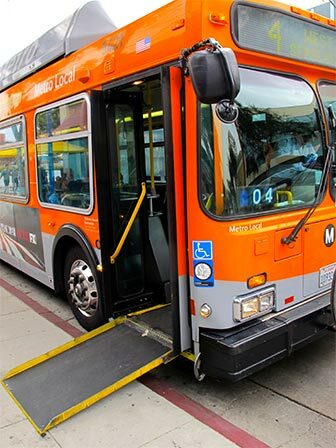 Metro (Public Buses and Trains) - The Los Angeles County Metropolitan Transit Authority (Metro) operates buses equipped with automatic wheelchair lifts. . Metro is also the primary funding source for Access Paratransit Services (see above). Metro Accessible Services Hotline: 800-621-7828. Metro Elevator Outages - a Twitter page where Metro announces elevator maintenance schedules, and alternate routes if you are impacted by the outage. 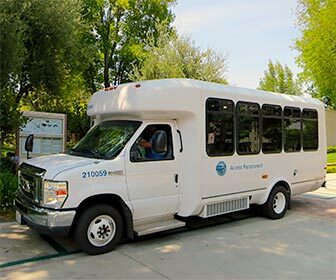 Parking Permits for Disabled Visitors - see the link to the DMV website above.